Winter Solstice in the Northern Hemisphere is the day of the least daylight and the longest night. Long before Christmas our Northern European ancestors celebrated the Winter Solstice, the moment that heralds the return of the sun and with it the promise of new life in spring. Without the comforts offered by modern technology, this time of year must have raised fears in the hearts of our ancestors; fear that the sun would not return to its summer glory, fear that there would not be enough food for the winter, fears that surface most easily in the dark. A celebration of light would have been most welcome and needed. The longest night was called “Mother Night” as it was during this time that the Goddess worked her magic to nurture the seeds laying dormant in the dark womb of earth so that new life could emerge in spring. It is a time to celebrate the eternal cycle of life, death and rebirth. Many of the elements associated with Christmas have their origins in our Goddess worshipping past: evergreen trees, holly, mistletoe, the wreath, lighting candles, and yes even our favorite Santa Claus and his reindeer who both have their origins in Northern European Sun Goddesses. Saule, the Lithuanian and Latvian goddess of light and the sun, took to the skies on the Winter Solstice in a sleigh pulled by horned reindeer. She journeyed with the aide of Her smith, who forged a golden cup in which to catch Her tears which then transformed into amber. During Her flight through the heavens she threw these pebbles of amber, like little bits of sun, and apples down to the world of humans below. She was a spinning Goddess who used her skill to spin the rays of sunlight onto the world. Saule ruled all parts of life, determining life, death and the well-being and regeneration of all. She was the sun, riding every day in Her chariot across the sky. She also welcomed the souls of the recently departed into Her apple tree in the west. Beiwe was a Sun Goddess of the Sami or Lapps, the indigenous people of the Nordic countries. The Sami were reindeer herders who relied on the reindeer for their survival. Beiwe, Sun Goddess, nourished them and their herds and helped Her people maintain mental health during the difficult months of darkness. She flew through the heavens with her daughter, Beaivi-nieida (sun maiden) in a ring of reindeer antlers flinging fertility and life back onto the land. On Winter Solstice Her people smeared offerings of warm butter on doorposts to help Her gain strength for her flight high into the sky. Beiwe, like Saule was associated with spinning. Spinning wheels and flax were left as offerings on Her altars. The Norse goddess, Frigga (Freya) was also a spinning goddess. She sat at her spinning wheel during the Winter Solstice weaving the fates of the year to come. This celebration was called Yule, from the Norse word for wheel. Christmas is often called Yule or Yuletide. The Christmas wreath was adapted from Frigga’s “Wheel of Fate,” symbolizing the cyclical nature of life. Rozhanitza, Slavic Winter Goddess is also associated with reindeer and the Winter Solstice. She is depicted as a horned Goddess with reindeer antlers. Folk art of red and white embroideries were made of Her for solstice celebrations. On Her feast day, December 26, cookies made in the shape of deer were given and eaten for good luck. Reindeer are the only members of the deer family whose females have horns and are stronger and larger than the males. The males shed their antlers in winter, leaving it to the Deer Mother to fly through the long, dark night of Winter Solstice. The Reindeer was a sacred animal to our ancient ancestors of Northern Europe. The doe was seen as the giver of light and life. Their horns were associated with the tree of life and often times they were depicted carrying the sun, the giver of life, in their horns. Esther Jacobson in her book, The Deer Goddess of Ancient Siberia, concludes that the deer images found throughout the early nomadic and semi nomadic cultures of the vast steppe and mountainous regions of Eastern Europe and Asia are evidence of a Deer Mother as the source of life and death. Monolithic “Deer Stones” are found through out this region, carved with stylized depictions of reindeer as if in flight. Horned Goddesses are found in the Celtic world also. Elen of the Ways, in Her most ancient form was the Guardian of the Leys, the ancient track ways. In Her guise as the Horned Goddess, She led the way on the migratory tracks of the reindeer. With time the reindeer became the deer in many Celtic myths. Elen of the Ways also opened the pathways for the red deer in the forests of Northern Europe. Flidais was associated with the deer who she milked to provide sustenance for Her people. As more time passed the deer became the cow. From Brigid to Boann, many Celtic goddesses are associated with a sacred cow. We can learn from the wisdom of the past, a time when humans understood more clearly our tiny part in the cosmic web of life. and the necessity of honoring the earth and all its life. At this time when the shadow side of human nature once again seeks dominance through naked self-interest and the promotion of fear and hatred of others, let us remember and honor the Ancient’s belief in the Reindeer Goddess, the Sun Goddess and the Mother’s Night when She both flies high in the sky and dives deep into the earth to nourish and promise a renewal of life in the coming spring. Though it may be dark now, the light will return. Postscript – While I was working on this article, news broke about the death of thousands of reindeer due to the warming of Siberia. Read a report on that situation on Huffington Post. Judith Shaw, a graduate of the San Francisco Art Institute, has been interested in myth, culture and mystical studies all her life. Not long after graduating from SFAI, while living in Greece, Judith began exploring the Goddess in her artwork. She continues to be inspired by the Goddess in all of Her manifestations. Originally from New Orleans, Judith now makes her home in New Mexico where she paints and sells real estate part-time. Give yourself the gift of one of Judith’s prints and paintings, priced from $25 – $3000. I think I see two 2017 Solstice/Holiday cards in the offing. Beautiful post, beautiful drawings. Sarah, Thanks for your insight. I do often feel when working that i have left myself, my ego behind. It feels almost like being a channel for the images to flow thru and that is like dreaming I suppose. The words from the dream dictionary really ring true. More and more lately I feel called to paint and draw wild animals. As so much of life on Earth is in danger we certainly need to reconnect with our authentic selves – not an easy task in this world which continually chases the next shiny bauble. Also when I was working on the painting of Saule and Her reindeer I hesitated to put the bridle as I hated for the reindeer to be tied like that. But then I thought how could she effectively pull Saule through the sky without being attached. I suppose magic could work but I wanted the physicality of it. So I put it there lightly and felt that she agreed to being connected in that way. Thank you for this beautiful invocation of Mother Night and Deer Mother and the images ancient and new–especially your Reindeer Goddess. It is heartbreaking that these beautiful, life-giving animals are suffering from human-induced climate change. We need to be aware. Thank you for posting the link to the article. Elizabeth, Yes it is so very heartbreaking – the reindeer both symbolic of life, the spirit, soul and body of it all and in physical reality the life-blood of the reindeer herders – for these amazing animals to be starving to death due to the insanity of humans – well it breaks my heart….. we have moved so far away from our ancestral roots and the understanding of the interconnection between all life. I couldn’t agree more of the need to be aware. Thanks for those solar goddesses and female deer. This post completes the midwinter meditation I wrote at the first of the month. Many thanks! And thanks for the midwinter meditation you posted earlier Barbara. I see a circle around the world engaging with it in just a few days. I grieve our arrogance and ignorance toward creation…and toward the one we call “god”. But I see movement toward a more wholistic spirituality that rejects “my god is best” and opens to other images and manifestations of the One who transcends all our understanding. I hope it’s not too late. I like your artwork Judith. There is a feeling in it for me of beauty, strength with gentleness, light, movement (evolution?) Thank you for sharing. Barbara, I too hope it’s not too late, though it does appear that a time of great suffering is beginning…. Why do we always have to learn the hard way? I have a spinning wheel I love spinning and spiraling. I love reindeer. I love the Sami culture.i visited DE.nmark Norway and Sweden . I wish to visit Finland and Lapland. Sounds wonderful Michelle! I bet spinning must put you into a very meditative space. I would love to visit the Nordic countries but have not had the chance yet (though think I’ll go in the long days of summer). Reindeer are very close to my heart, as a Scandinavian Pagan who has some Sami ancestry through my mother’s bloodline. Judith Shaw wrote this wonderful article on the Reindeer Goddess in some of her forms, which you all may enjoy as well. Blessed be the Reindeer Mother! Kit, Thanks for spreading the word to your readers about the Reindeer Goddess. Blessed be for sure! Thank you very much for this article. There is also the reindeer goddess associated the Magdalenian people of the Pyrenees who made the cave art at Niaux. They occupied the region between 17,000 to 12,000 years ago and were believed to migrate with the herds North as far as Creswell Crags in Derbyshire UK each year. Another authoress who is worth looking up regarding deer goddesses in Northern Europe is Elen Sentier. Kit, Thanks for the info about the Magdalenian people who also worshipped the Reindeer Goddess. I’ll look up Elen Sentier for sure. I think my journey with the Reindeer Goddess has only just begun…. Funny you should say that Kit as after reading your comment about the Magdalenian people I went out on an errand. While driving I was having a fantasy of spending time in the Pyrenees immersed in the cave art while painting and writing. Ah :-), it generally is how it works. I have to be honest it is the husband who is the visionary, I tend to do the more practical aspects. If you do make it to the French Pyrenees then Montsegur castle is a “White Lady” experience and I would love to give you directions to a certain remote pyrennean mountain meadow, though that is a private message. I can show you the art of my husband that is a direct translation of the visions from that field and from a night spent in the castle of Montsegur if you would like. On the opposite side of the valley to Niaux is the very under publicised Grotte de la Vache which is where the people who made the art lived. It is very good at highlighting the difference between the mundane space and the spiritual space which is Niaux. This is wonderful, Judith. Thank you! Thanks, Judith, for this delightful recounting of the deer goddess in many northern lands. It makes me want to rework “Rudolph, the Red-Nosed Reindeer,” just like I reworked “Puff, the Magic Dragon.” I never liked the end of that song, so I lured Puff out of his cave and introduced him to Susie, who decided to stay (as opposed to little Jackie Paper). Nancy, I hope you do rework “Rudolph, the Red-Nosed Reindeer” – You’d have to change the name to… maybe “Rudolpha, The Glowing Reindeer”…. Hope you share it once it’s done! “Saule ruled all parts of life, determining life, death and the well-being and regeneration of all.” – Love to know about the Pagan Goddesses and everything before, today there’s no stories – so boring! Hi, I am very interested in knowing more about the female reindeer legends, and how she brings the sun back to the north in her antlers on winter solstice. From my research, it seems that the male reindeers are significantly larger than the female. I keep reading in people’s posts though, that the females are larger and stronger. Where did you get that information and do you know it is true? Everything else makes sense to me, but I’m just not sure about the size. I would like to know for sure. If you have information on where to find this out, please let me know. Thank you! If you have any links to your research about the male reindeer being large perhaps you could share it. I’d love to know myself. My research for this article was all done online. Unfortunately if something that is not correct gets posted online it’s easy for that to spread. 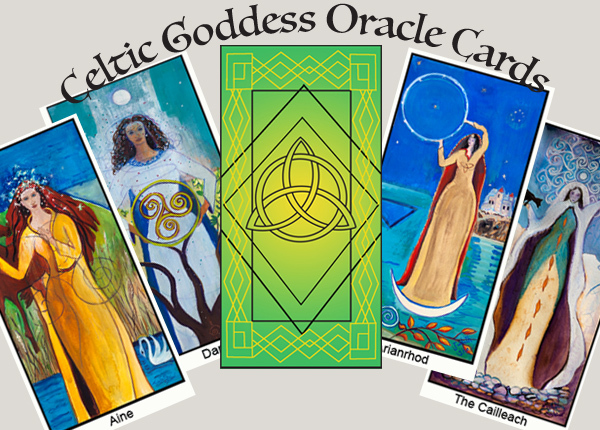 I’ve found a lot of mis-information in my research for all the Celtic Goddesses I have covered. I try to discern what is not correct but it can be difficult to sort fact from fiction with online info. Though in the world of myth I suppose scientific facts aren’t necessarily needed. Thank you for your reply Judith. I have read it in a few other places online as well. I am so intrigued by the stories of the reindeer goddess, and I want to tell the stories to my children. I am trying to find out what is true and what isn’t and where the stories originally come from. I am starting my research now. Sorry for the delay in responding – too much to do these days! Anyway the facts you found are interesting. It might be that the folklore connected to female reindeers being larger than male reindeers could come from the fact that the males lose up to 40% of their weight in the winter. If you do the math, taking the weight of 180kg then the winter weight would be 108kg – smaller than the largest females. But I feel that scientific facts are not really important when we deal with myth. Myth takes us into the world of symbol and storytelling intended to increase self-understanding. I mean after all do reindeer really fly in the world of hard, cold fact? Or can a being shift shape back and forth between animal and human in that world of fact? What does it mean that the Reindeer Goddess takes flight on the winter solstice and brings gifts to the people? Could the gifts be a connection to the spirit realms, symbolized by a flight into the heavens? That’s so great that you want to share the Reindeer Goddess with your children. On my list of “to do” projects is an illustrated children’s tale of the Reindeer Goddess, who spoke to me very deeply when I did this painting and post last year. There is an alternative to the female-reindeer narrative, if strong lady reindeer bringing Christmas joy to boys and girls everywhere isn’t your speed. Traditionally, reindeer who pulled sleighs in colder regions were actually castrated males. Castration kept the males docile, and allowed them to keep their antlers through the winter. So, yes, it’s totally possible that Santa and the elves neuter the reindeer the same way they do in Russia: by biting the reindeers’ testicles with their teeth. Frøya is not connected to jôl, and spinning wheels did not exist in scandinavia in the pre-Christian period. Tinah Bee, your Sun Wheel sounds wonderful. That together with the rattle you were gifted sound like great tools for use in a ritual ceremony to honor the long nights and call for the sun to return. Happy Solstice to you also! My Dear Sister and Soulmate passed away almost two years ago. Her totemic animal is the Dear, and periodically through these past two years her presence becomes ‘evident’ with the appearance of a ‘dear image’ online! And here is another, I muse! And yes many years ago I dreamt of a beautiful spinning Nordic Woman, one of my poignant never to be forgotten dreams! So yes, the feminine Divine presence spins her story in my life! And I continue to ponder!